ROI Sumang is forgoing his fifth and final year in the UAAP as he plans to join the PBA Draft, according to University of the East head coach Derrick Pumaren. Left off the 16-man Sinang Pilipinas pool for the SEA Games, the UE star will instead focus on Tanduay Light’s bid for the PBA Developmental League Foundation Cup before making the jump to the pro league. Pumaren said the UE star and his father personally told him about their decision recently. “He has decided not to play for UE. Sabi niya, he will just play sa D-League and apply (to turn) professional after that,” Pumaren said on Tuesday. Sumang’s absence is expected to leave a major dent on the Red Warriors’ campaign, but Pumaren said he respects the player’s decision. UAAP Season 78 opens on September 5. 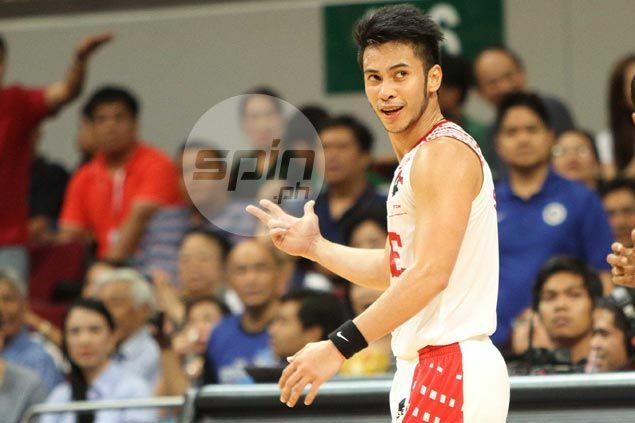 Sumang, who earned a place in the UAAP Mythical Five in 2013, averaged 12.5 points, 3.0 rebounds, and 4.3 assists for the Red Warriors last season. The top Red Warrior got into a controversy last season when he was benched for skipping practices, but earned back his spot in the rotation. He was also invited to the Gilas cadet pool tryouts, although he didn’t make it to the 16-man pool for the Southeast Asian Basketball Association championship and the Southeast Asian Games. The Red Warriors don’t allow players to suit up for another team in the D-League during their preparation for the UAAP, so a change of plan by Sumang is unlikely. “We have a policy to play for one team only and not play in the D-League,” said Pumaren.